Live In Japan Japan Rare bootleg from Japan. Complete concert, except of a few cut in the introduction to some songs. 200 copies made. Millionaire Holland 2 lp limited box set, 25 numbered copies, with a 120 min. tape or 2cdr plus a t-shirt and a booklet included. The Warehouse Sweden Recorded live at Broendby Hall Hall, Copenhagen, Denmark May 12th, 1977. Audience recording. It’s made in 986 copies. Recorded from row 15. Flash Alive Japan 2 lp. Nice album, good show. Complete concert. Around 300 copies where made. Make Me Feel Like A Millionaire Promo Holland Advance promo copies with insert sleeve. Hot Space Tour Japan Excellent 3LP bootleg. A good documentary of the 1982 Hot Space Tour. Dynasty German A 3 lp set made in 500 copies. Audience recording from the Stuttgart show on September 27th 1984. Lazing On A Sunday Evening Japan Recorded live at Nichidai Kodo, Tokyo Japan April 4th. 1976. Audience recording. Rare Japanese bootleg. Last date of Queen’s 2nd. Japan Tour. Released on cd, with cartoon cover , used the same cover looks. No More Secrets German Re-release from “Her Majesty’s Secret Service” (Only 50 numbered copies). This album is made from the original TFKRL-plates although NOT by the original manufacturer and bootlegger. A 4 lp one sided box set exist limited to 25 copies. A 1976 issued in Japan. Original ‘Marc’ production release in limited numbers. Elisabeth II Italy This is a ‘Greatest hits’ live album from THE WORKS tour. 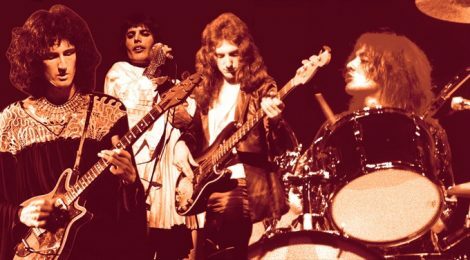 Queen played 2 dates for first time in Italy. Nice sound. Pressed on GREEN vinyl, around 300 copies made. Also on RED vinyl, about 50 copies this way. Galileo Opera German 100 copies with insert with title: “By Overwhelming Popular Demand”. Free In The Park Japan Recorded live at Hyde Park, London, UK, September 18, 1976. Although the cover suggest that this album is made by Ze Anonym Plattenspieler (A US bootleg label) this is definitely a Japanese LP made by Marc Records. Fairy Tales Of Yesterday German Rare vinyl bootleg. 158 numbered copies out. Pressed on multi color vinyl. Not so easy to get. Some overstock copies are around with the title: “Live At St.Georg’s Hall”, with different insert sleeve. Magic In Knebworth Usa 2 lp. The last concert with Freddie Mercury. Complete ordinary ‘magic’ show, but since it’s the last one, it worth to get it. Part of this show, was used on ‘Live Magic’ officially released in December 1986. Ga Ga Japan Nice album, only sad thing is that the sound could have been better. Kymono My Place Live Japan The first Queen ‘MARC’ bootleg. Title ‘Shag Out’ is listed on side B. But that’s just a end part of ‘Hangman’, and not a track by itself. Crazy Tour Japan 2 lp. Rare Japanese bootleg from the ‘Kampuchea concert’ at Hammersmith Odeon in London. Not complete show. Queen’s Last Stand 1985 Japan 2 lp. Nice and interested bootleg. Last concert on 1985 world tour. An excellent audience recording. Royal American Tour Usa Original vinyl bootleg from a great US show. The better US performance in the early years. Duck Soup Usa Nice bootleg with many interested tracks. Complete ‘Rock ‘n Roll’ medley for first time. This LP have been re-released (or rather re-pressed) on vinyl many times. Sometimes with another title and different insert. And also fake listed as live in L.A. USA in many lists. Long Life To The Queen Italy 3 lp box set. Recorded live at Hallenstadion, Zürich, Switzerland, April 16, 1982. Sadly not complete concert, and the running order of the songs are totally corrupted. Some improvisation tunes, makes this bootleg nice and a bit interested. Done Under Pressure German 2 lp. First edition 1987. One of the best vinyl Queen bootlegs. Nice cover and great sound. ‘Fish’ of Marillion feat. on “Tutti Frutti”. Moet & Chandon German Box set with boxer shorts (20 copies) or a t-shirt (30 copies) included. 50 copies with wrap around insert. All ‘boxes’ are numbered. Red vinyl. 100 copies made for 3 differents edition. No More Mananas Mexico Very rare bootleg from the only tour in Mexico. Total released in 800 copies. King’s Favourite German 2 lp. Complete concert. Nice bootleg. Great show from THE WORKS tour. Rogues And Scandals Usa Well known recordings, but this was the first time ‘Golders Green Hippodrome’ concert was released on a bootleg. The “Rock’n Roll” medley from Christmas concert, isn’t on the various other vinyl bootlegs, was a reason to get it. At the time of this release, it’s only Keep Yourself Alive which is available on other bootlegs. Crazy Duck Germany This is the sound of the “Queen Special” 1980 television program. 2 tracks has videos sound and not live recording. Released on CLEAR vinyl. Insert with an error printed track list. No News Good News Usa Side 1, is a radio broadcast from the radio show ‘King Biscuit Flower Hour’. It’s the BBC session ’77 tracks with audience overdubs, to sound like a live recording. Side 2, is an audience recording from Seattle ’77. The Warehouse (Reissue) Holland Recorded live at Broendby Hall Hall, Copenhagen, Denmark May 12th, 1977. Reissue in 1981. A copy of the ‘STONED 5’ 2lp with same name. Bad cover, and a slightly loss in the sound quality. Made In Heaven German 2 lp. Just a re-release of “Absolutely Enthusiastic” (TFKRL 9002-2). Limited of 100 copies stated on cover. This show is officially released on video, and later on DVD in Japan only. The track “Dragon Attack” isn’t on the video or DVD version. Get Down Italy Nice bootleg. Good sound quality, but sadly a bit low output. Not complete show, ‘We Will Rock You’ slow version is missing. This concert was filmed for the archive. One track is used on ‘Rare Live’ video. Originally released on GREEN vinyl. Re-released in 1992 with same cover, but on various color vinyls, including green, so beware it might be a bit difficult to identify the original one. There is also a version with different matrix number, with a new fold-out cover. P.N.W. March 1977 Usa Part two of the ‘Seattle 77’ show. Sleeve say’s March 14th., but that’s an error. The show took place on the 13th. There is bit various in the track list, printing on the inserts. Mania German A re-release of part II of the ‘Seattle show’ from ’77. The Falkland Are Rocking German From the first concert in Argentina. Sadly not the best sound. This concert was transmitted ‘live’ on national television. About 2500 copies where made.